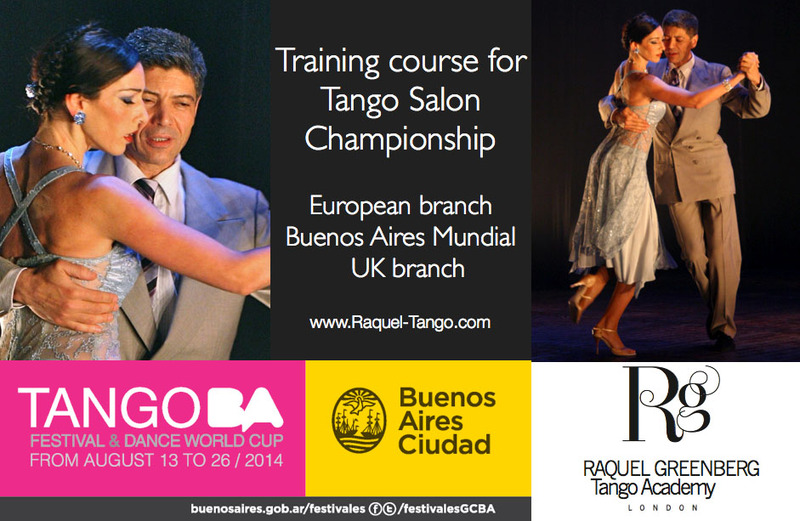 Whether your goal is to take part at any of the official the Tango Championship or you simply want to improve the quality of your dance and take care of the details, get rid of bad habits, this is the class for you. We work on the 5 major ingredients of the Tango Salon Technique, walks, musicality, circulation and embrace. DANCE WITH ATTENTION and INTENTION! These sessions are fantastic not only for participants of competition but for anyone who aims to be a better social dancer. We are proud to train Andy and Jennifer who reached the Semi Finals of the UK world cup. Andy Ong: “Thank you Raquel. We couldn’t have gotten to where we were without your guidance and support. As long as we’ve done our teachers and friends proud I think we’ve achieved a great deal this weekend”. It is recommendable to take a complementary package of private lessons and increase your chance to win on top of the general tutors. You can book or turn up. It is recommendable to attend as much as possible all the sessions.